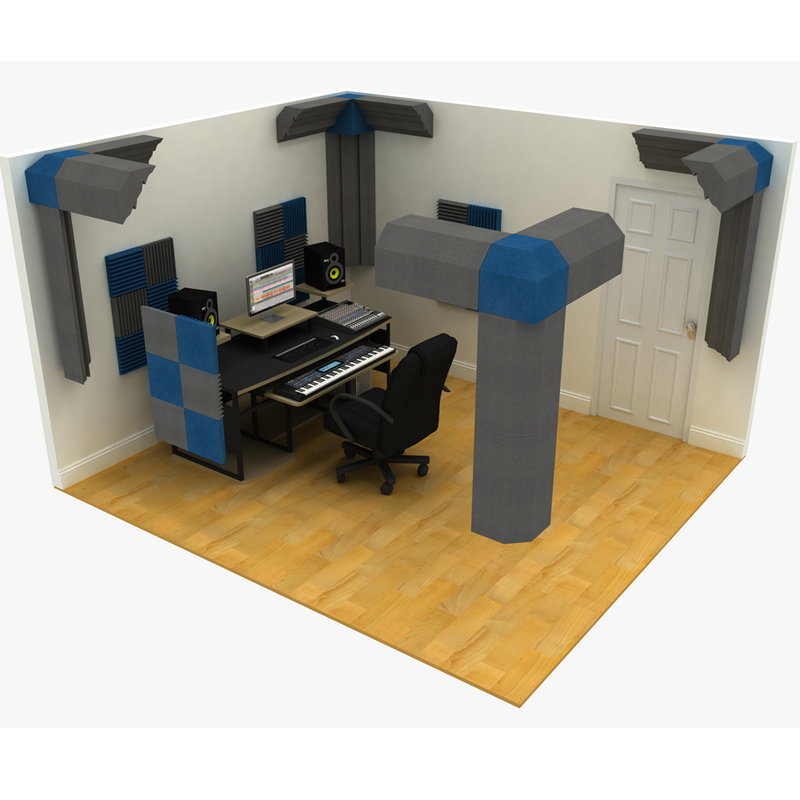 Project Corner Traps absorb sound energy where it is most intense: the corners of your studio. With a lot of modern music it’s the low frequencies that excite us most. How many musical styles are pretty-much defined by the bass line? We engineers and producers know this and it is one reason we spend so much time tweaking the low-end of our recordings. The other reason is that bass is just so difficult to mix accurately in the average sized studio. And that’s where Project Corner Traps come in – they help you hear what the low frequencies are really doing so you can easily produce mixes that get your listener moving. 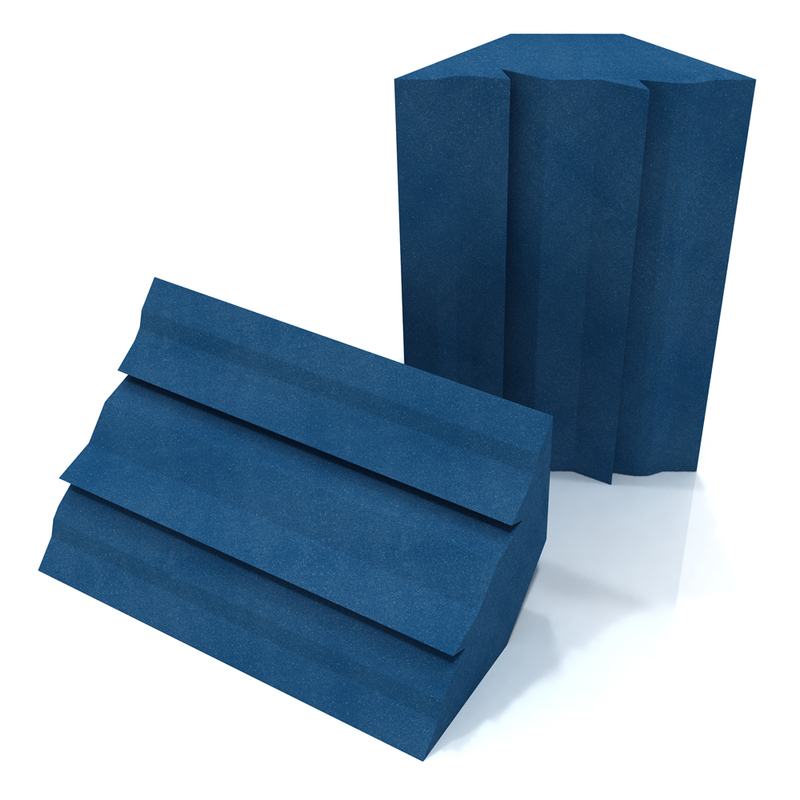 Formed from our proven open cell acoustic foam, Project Corner Traps work on a broad range of frequencies that extend down into the all-important lows. They are designed to fit neatly into the vertical and horizontal corners of your studio where most bass problems form. 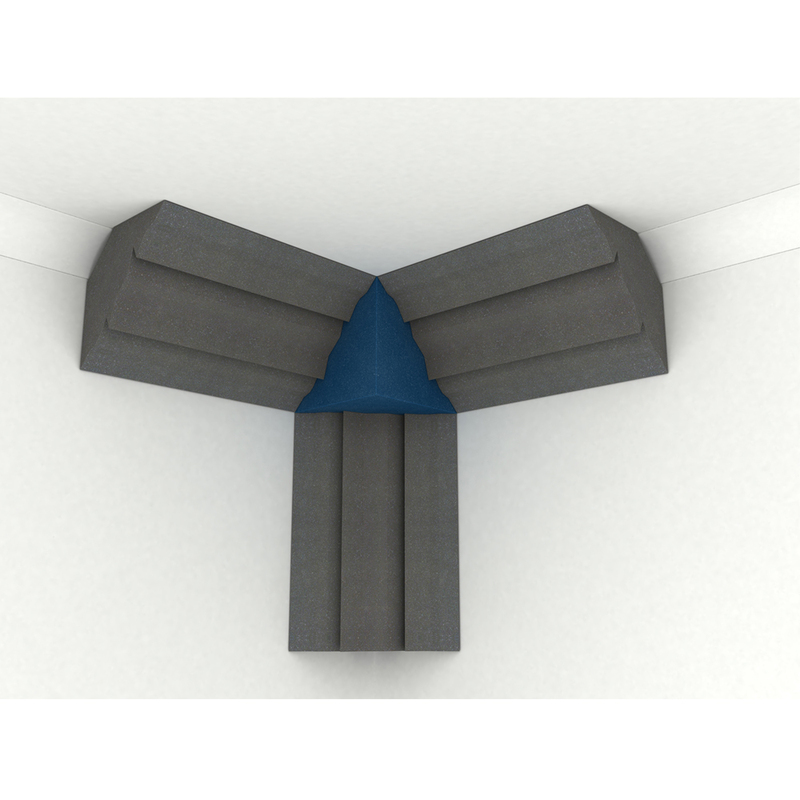 Coving is no problem – Project Corner Traps feature an air gap at the back. Available in Storm Grey and Electric Blue. 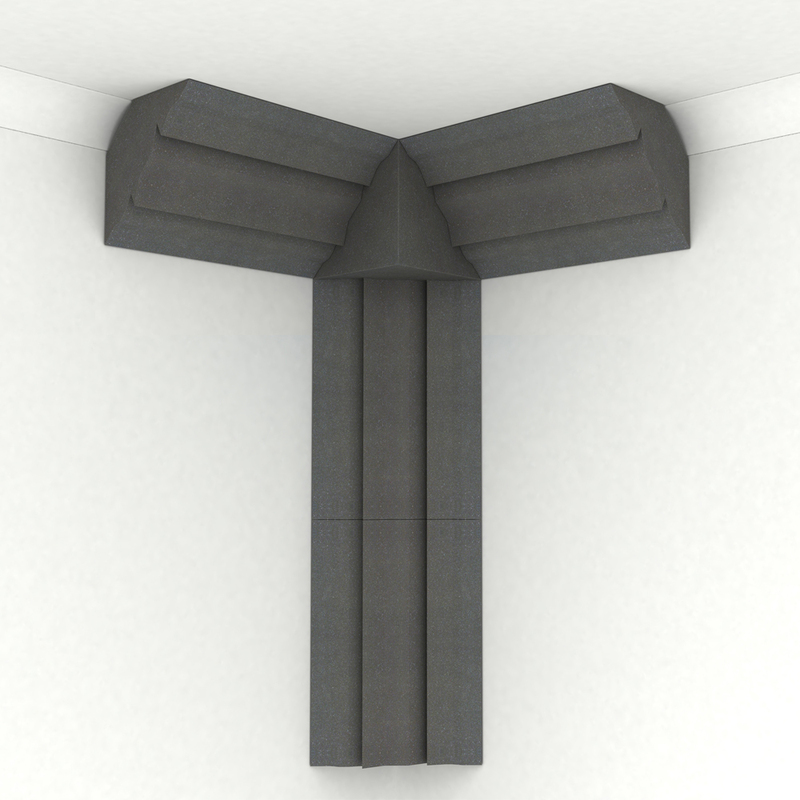 Use in combination with Project Corner Cubes for maximum absorption coupled with a modern studio look. 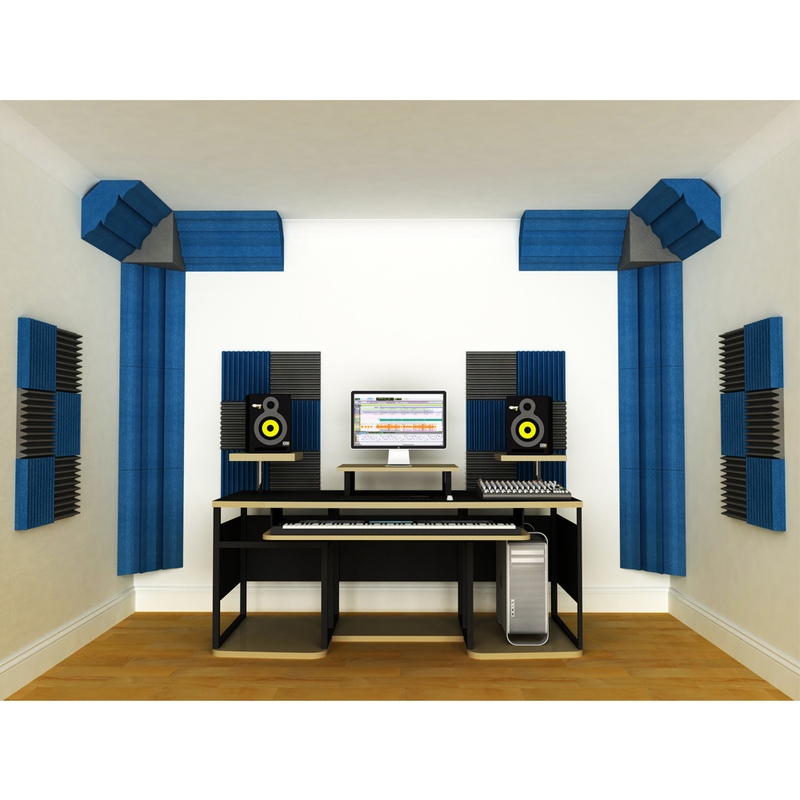 For treating high and mid frequencies, check out the Classic Wedge and ColourPanel acoustic tiles.